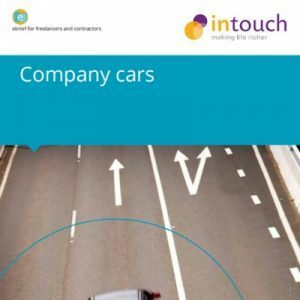 In our previous ebriefs, ‘Travelling and Subsistence: Parts 1- 4’, Paul Gough, Managing Director of Intouch Accounting, the personal online accounting adviser for contractors and freelancers, looked at business journeys and how to claim the cost from your company of using your privately owned cars for business. We also looked at what happens when your company owns a motorcycle, provides a bicycle or even a van to use for business travel, and how you are taxed on the private use of those company owned assets. But, by far the most frequently asked question, and the one we have deliberately left to last because of the complex nature of the rules, is whether a car, used for both business travel and private use, should be purchased personally or by your company. There is no simple answer to this question; each situation varies and often the final decision is based not on the extent of tax liabilities, but personal preference and convenience. But in order to make the choice, you should understand what makes this decision so difficult. Therefore, the purpose of this final ebrief in the series is to set out the consequences of the company providing a car, and how the calculations are made to work out what tax your company and you have to pay as a consequence. You will then need to compare that to the alternative of buying the vehicle personally. Over the years, company car taxation has changed. Gone are the days of it being a bit of a wheeze to give employees something for nothing. The tax climate is adverse to company cars and the political ‘green’ revolution has introduced variations to encourage greener vehicles when a company car is provided. Indeed, these changes continue to be made with new rules coming into effect for 2012/2013 and onwards to at least 2016, so this is an ever-changing area of tax. When an employer provides any asset that is capable of private use, the employee may suffer a personal Income Tax liability on what is referred to as a Benefit in Kind (BIK). Additionally, the employer suffers an Employers National Insurance (NI) cost, although it does obtain corporation tax relief on the costs incurred. The provision of a company car is no different. One thing to remember if your company does provide a car is that it’s very important that the company also incurs all the costs of that car. So if you spend any money personally on running a car owned by the company, make sure yourecover that cost via your expenses. The reason is simple: the car BIK is calculated based on a formula associated with the value of the car new and its CO2 emissions value, rather than whether your running costs are £250 or £25,000. Your company cannot recover VAT paid on the purchase of a car that is capable of any private use. Even if you adopt the Flat Rate VAT Scheme and the cost of the car is greater than £2,000, you cannot make use of the capital asset rule and recover the VAT. This is also the case where your company leases the car; you can’t recover any input tax at all on the Flat Rate Scheme and, for those who don’t adopt the scheme, only 50% of the VAT on the lease rentals can be claimed. If your company sells a car it owns, then you will not have to account for VAT on the sale of any car subject to these input VAT restrictions. If your company pays for fuel, and you make use of the car privately, then you should account for the VAT on the private use of the car. Happily, this is simply a matter of applying a scale charge every quarter, adding a notional scale charge to your value of outputs and accounting for either your flat rate percentage or the standard percentagerate of VAT (if you’re not using the Flat Rate Scheme) to the scale charge. In all other respects, any VAT incurred by the company on car related expenditure can be recovered, provided you are not adopting the Flat Rate Scheme; this means you should also reassess whether that scheme continues to bebeneficial to you where you decide to purchase a car through your company. When your company buys a car, it’s a capital cost that the company can use to reduce its corporation tax. But, the reduction in your taxable profits for the year your company purchases the car, is not the full cost. Instead, the capital cost is divided over a number of years and reduces the corporation tax bill over the life of the ownership of the car. This system is called capital allowances – our specialists at Intouch Accounting can explain this further to you, if required. However, if you want another example of ‘green taxes’ be aware that for low emission cars (under 110mg/km CO2 ), it’s possible to claim 100% allowances in the first year. Costs incurred on accessories at the time of purchase are always added to the capital cost, but later accessories may be treated as expenses, provided they are not over £100 per item. There are other exemptions, but these are mainly associated with disabilities for blue badge holders. All running costs of a car are allowable expenses and reduce your company profits by the cost incurred. See above for VAT. It’s essential that you claim all running costs to offset the BIK– but we’ll come to this in a minute. The key point here is make sure you don’t miss those petrol bills paid privately! It’s also important to note that petrol is something that is taxed as a separate BIK. Sometimes it’s therefore better to incur all petrol costs privately and recover a specially reduced approved mileage allowance payment for business journey’s to avoid this Benefit. But again, we’ll return to this later. If you are unfortunate enough to be subject to the IR35 deemed salary calculation, then the costs of a car are a deduction from that deemed salary calculation, because they are subject to a BIK charge. But we’ll cover IR35 in a separate series of our monthly ebriefs. And don’t forget, at Intouch Accounting we offer free IR35 contract reviews, so contact us if you have any concerns relating to this matter. Everything above sounds really good. The company buys a car, it gets tax relief on the capital cost, albeit over a number of years, and it gets tax relief on the running costs. If you’re not using the Flat Rate Scheme you even recover VAT on the running costs. So, what’s the problem? The simple answer is BIKs and the amount of tax you have to pay. The first tax consequence is that your company must pay employers NI contributions at 13.8% of the value of the BIK. The value of the Benefit is reported annually on a fiscal year basis (year ended 5 April) on form P11D, and the NI cost is reported on the associated form P11D(b). The forms are due before 6 July following the end of the fiscal year, and the liability is payable no later than 19 July (or 22 July if you pay electronically). So what is the BIK? Please don’t think that buying a second hand car will help you. The price used in the calculation of the Benefit is the manufacturer’s published UK list price on the day before the car was first registered, including duties and VAT, delivery, car tax and number plates. If you made a personal contribution towards the cost of buying the car, then you can reduce the list price by the lower of the contribution made and £5,000. The result is the price used for calculating the Benefit; it is not the value of the Benefit. You will need to look up a percentage that relates to your vehicles CO2 value (this can vary each year). This percentage is then applied to the list price determined above to calculate the value of the taxable BIK for a full year. Any day falling within a continuous period of 30 days during which it was not available to you (note that rules apply to replacement cars if a car is unavailable for more than 30 days). There is no deduction for days falling within a period of less than 30 consecutive days. You can also get a reduction in the value of the Benefit if you make contributions back to the company for private use. Having calculated the Benefit and made any appropriate adjustments, this is the value on which you actually pay Income Tax and your company pays Employers’ NI contributions. You will also have to undertake this calculation for every car available to you, and to your associates (if they are not taxed individually). So there’s no point giving your spouse a car, just because your spouse is not employed by your company! There is essentially only one realistic way to minimise your BIK and that is by selecting a car with a low emissions value or looking for the greenest car you can find – called zero emission cars. Unfortunately, in most cases, the exciting cars are also often the ones with the highest emission CO2 values. An employee is provided with a car on 1 May 2010 for business and private use. The car has a list price of £13,000. If your company reimburses you for the cost of fuel, then this counts as providing private fuel. The Benefit can only be avoided if you personally pay for all of your private fuel use (you could reverse charge yourself for private miles using the Company Car Advisory Fuel rates – but these are based on engine size and much lower than the scale rates as they are intended to cover petrol costs only). But, it has to be all the private miles; or alternatively no private use is made of the car – and let’s be honest, this is normally unrealistic to argue. You can make adjustments for periods that the car is not available, in the same way as you can for the car Benefit. And the Budget in March 2012? One final point before we conclude… Pool cars are often quoted as being a great way of avoiding the BIK. A pool car is one that is not made available to any one employee in particular and is therefore not available for private use. But let’s be honest, one man companies are going to find it very difficult for this to apply – and there are rules that mean the car cannot be left overnight at an employee’s home, which is going to be hard to prove when your business operates from your own home. So, unless you have very special circumstances, in which case these need to be considered, we wouldn’t recommend you bother dwelling on the subject of pool cars. 6. Work out the actual tax cost to you of the BIK. This is the cash outlay you have to make, but this needs to be financed from earnings from the company so you need to then work out the post tax cost of the company making those funds available to you. 9. The cash cost of owning and running the car found in 1 equally should apply to you. Deduct from this the gross mileage claim received from the company. This is your cash cost, but this is not the full cost because of course you must earn this money and pay tax on your earnings. The cash amount must be grossed up to take into account the income tax and NI you have to pay to earn enough after tax to pay this cash cost. If you are able to work out these numbers correctly for yourself then you can always apply for a job with Intouch Accounting! But if, like most people it just feels too difficult, then ask us for help. It’s one of the benefits of having an accountant on call that understands your questions. Now, as you can see, this is a complex comparison for one year and it changes annually depending on the car, the business miles and private miles (the total miles and the proportion of each), the costs of running the car, not least the cost of fuel… all of which are variable. The result may therefore flip between personal and company over the life of the car. So it’s often too complex to decide with any degree of accuracy and better to say what suits you… convenience or cost?